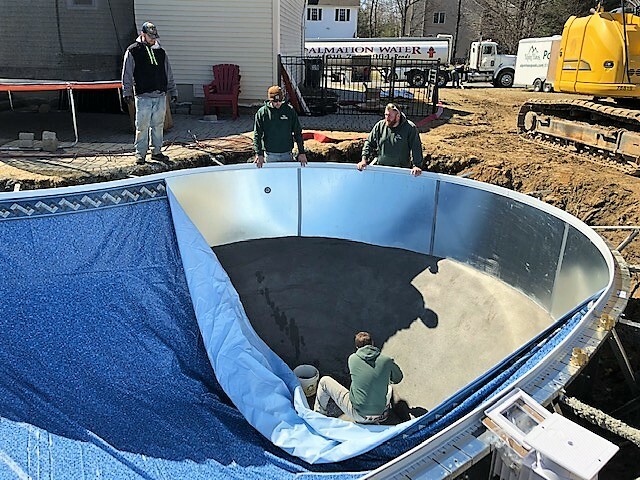 HALFMOON, N.Y. – Outdoor recreation retailer Alpin Haus is this week installing its first pool of the season at a residential property in the Capital Region. 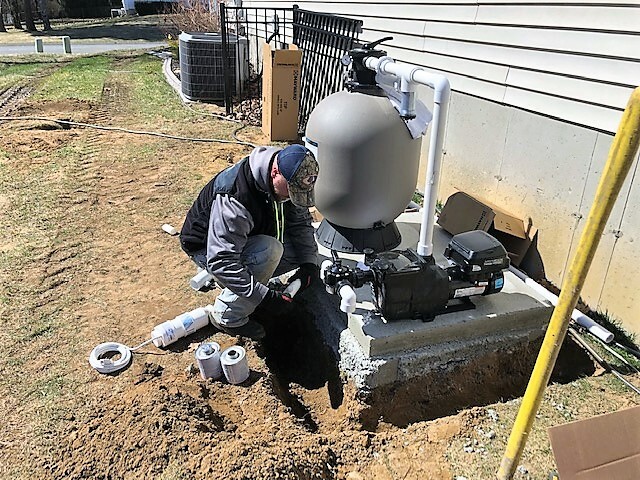 The installation began earlier this week with excavation work and continued this afternoon with the installation of a pool liner and water. Electricians and other pool professionals at Alpin Haus will complete the finishing touches in the coming weeks. The new 33-foot kidney-shaped legacy edition inground swimming pool marks the official start of pool season for Alpin Haus. For more information on pools, installation or the services offered at Alpin Haus, visit www.alpinhaus.com.